Astronomy Israel: "When you are old and gray and full of sleep..."
This mystical and elegiac poem by William Butler Yeats speaks of unrequited love, but has always spoken to me about the power of love and its mysterious embrace. Last Sunday we went out with the Boyarskys, Shmuel and Sharon, and it was very obvious they were so much in love with each other (the second time is the charm). 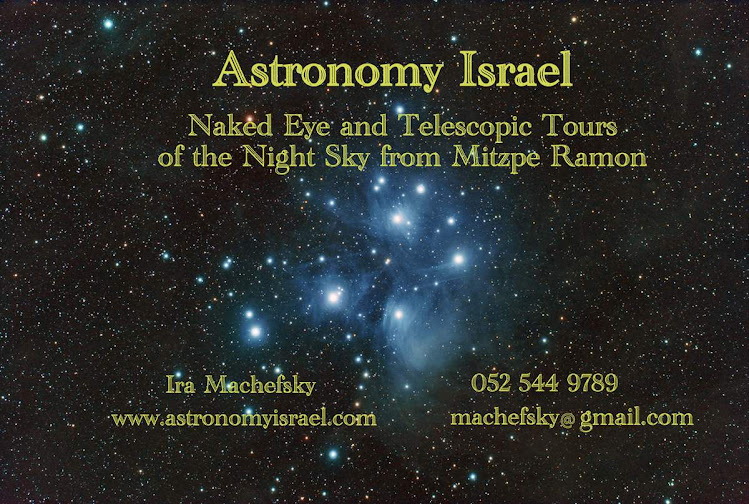 We picked them up from the Bereshit Hotel, its first night open, and went up to our observing plateau. The moon was full, and the sky was filled with light. What a special night. 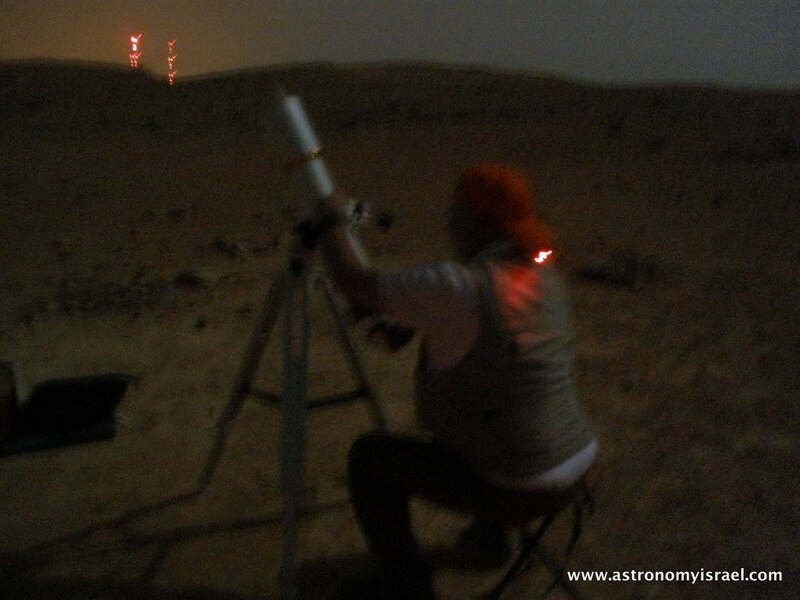 Sharon wanted to see Arcturus, a very yellow star and one of the brightest in the sky, through the telescope. Perhaps it was the light of the moon or the high cirrus clouds the star's light passed through, but I have never seen a star look so topaz through the telescope. It looked like a shinning gemstone. All the better since topaz is Sharon's birth stone and one her father, in the gem business, used to frequently give her on her birthday. We can't promise you love, but we can give you the moon and a crowd of stars. The Boyarskys capture the elusive Starman of Mitzpe Ramon, seen here under a full moon.